The Lady Bears have already gotten some good news looking ahead to Mulkey’s 20th season as their head coach, with word Monday night that senior-to-be Lauren Cox won’t need surgery after a gruesome-looking left knee injury the 6-foot-4 standout post sustained in the national title game. 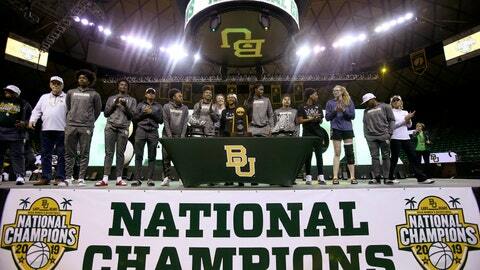 Baylor’s third championship came seven years after its 40-0 title run in 2012, which was seven years after the Lady Bears won their first in 2005. They also made the Final Four in 2010 during Brittney Griner’s freshman season.